On Monday 28th November 2016 the Year 2 children visited Norwich Cathedral to see how christians celebrate and prepare for Christmas. 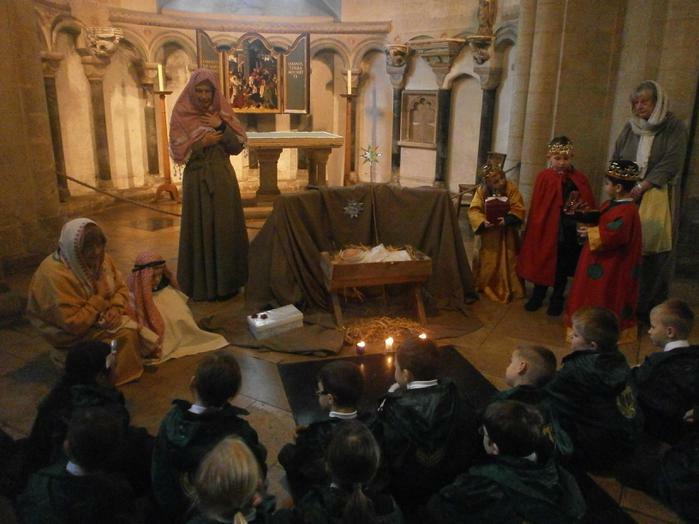 The magnificent Cathedral was the setting for the Nativity story which the children listened to. Some children dressed up as Joseph, the three kings or a shepherd. As they visited different parts of the Cathedral they met other characters from the Christmas story. The children also created and decorated angels whilst learning about Advent.